FRANKIE GENARO won the flyweight Gold Medal at the 1920 Olympics in Antwerp and launched his pro career later that same year. By 1920, he was fighting world class flyweights, notching wins over Charley (Phil) Rosenberg and Pancho Villa. In 1923, he captured the American flyweight title with another win over Villa and then scored a non-title win over future bantamweight champ Bud Taylor. Always seeking the best competition, Genaro lost his American title to Fidel LaBarba in 1925 and dropped a decision to former world champ Newsboy Brown in his next outing. Genaro was a quick-footed fighter who combined agility and aggression to become a world champion. His day finally came in 1928 when he defeated Frenchy Belanger to win the NBA flyweight crown. Although he lost the title in his first defense against Emile Pladner, he took it right back by defeating Pladner one month later. Genaro made successful defenses of the NBA title against Ernie Jarvis, Yvon Trevidic and Belanger before meeting Midget Wolgast, who was recognized as world flyweight champ by the New York State Athletic Commission. The unification bout ended in a draw and each champion went their separate ways. 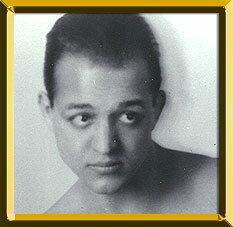 Genaro made successful defenses against Victor Ferrand, Jackie Harmon and Valentin Angelmann until being knocked out by Victor "Young" Perez in 1931. Genaro never fought for another title but did manage to beat future featherweight champion Joey Archibald in 1933 before retiring in 1934. In all, Genaro met 10 world champions. Among those not already listed are Bushy Graham and Willie LaMorte. He also met three Hall of Famers.